Annoyed that I couldn't move the focal point from my toes to his face but oh well. 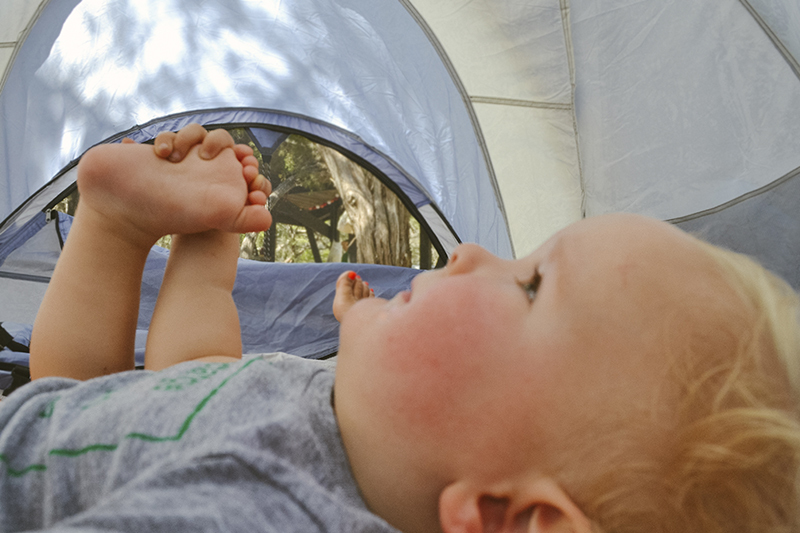 Ahh, the futility of a nap in a tent. Trees blowing, sun shining, way too much to look at. This happened on my belly for close to an hour before I raised the white flag. He managed to nap for about 30 minutes in the stroller during a walk and we considered that enough. You can't say we didn't try. One of my favorite shots from last week was this one by Ms. Emily Jane. That boy has eyes like the ocean. And I also loved these. I really can't get enough of that new baby. I can't wait to take our kids camping!!!!! I have so many good memories of my childhood camping.